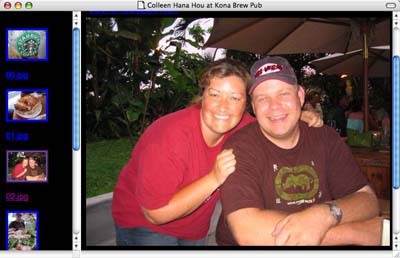 One more chance for Colleen to have a fresh Kona Brew before heading back to the mainland. Jim just got in from Europe so it was a good excuse to make it to Bew Pub one more time. My day started out with some iced coffee and ended with iced tea (at the Brew Pub). Thursday the Kona Brew Pub debuts some kind of Paddler’s Ale then Friday is the start of beer month (send your favorite brewer some flowers I’m sure) and they debut a Vanilla Porter. Although I’m not a big beer drinker I have had the Kona Coffee Beer at Kona Brew Pub when it was their seasonal beer and it looks like according to the Rate Beer Website it’s one of the top Hawaii beers.